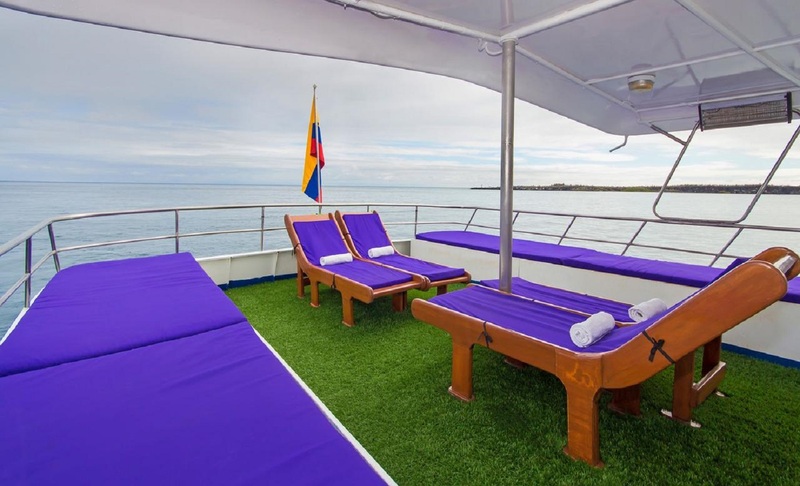 Embark aboard the comfortable Estrella for 7 days through the southern and central Galápagos Islands, witnessing first hand what makes this destination so incredible. 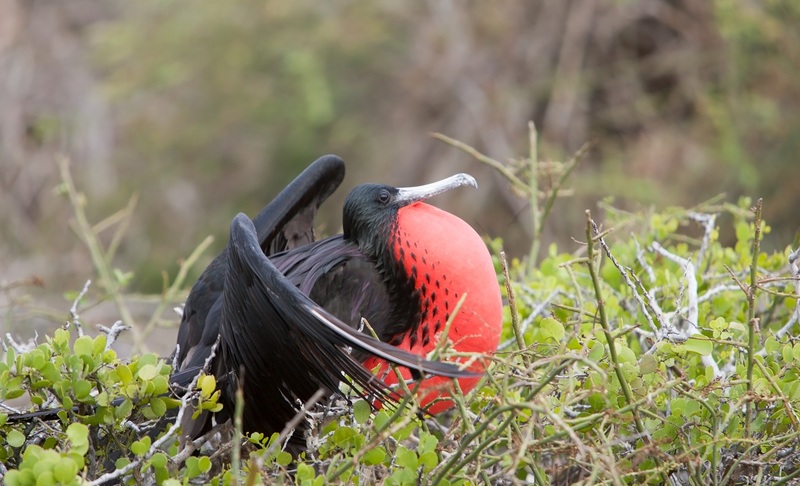 Hike through Punta Pitt and try to catch a glimpse of three distinct species of Galapagos booby all in one place . Relax on the white-sand beaches of Cerro Brujo, do some coastal touring through Punta Suarez, and send a postcard from Post Office Bay. Prepare to experience some of the best snorkelling of your life at Kicker Rock, Corona del Diablo, and Bahia Gardner. 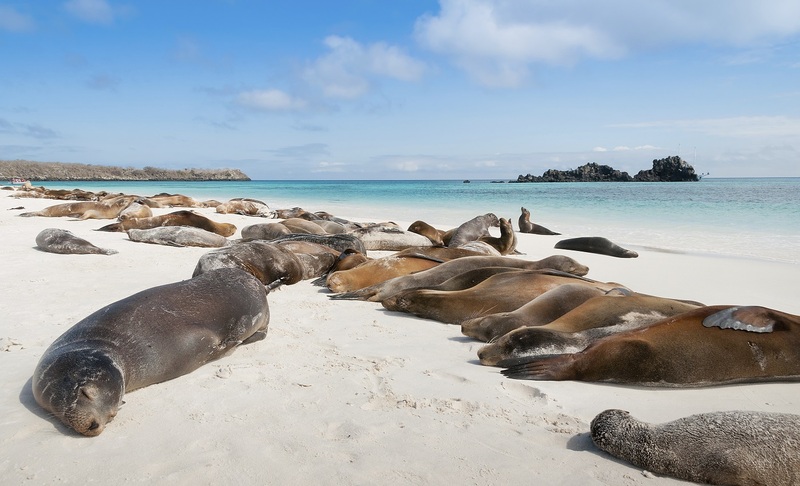 Visit a peaceful beach at Isla Lobos to be welcomed by charming sea lions and their curious pups. Delve into a snorkeling adventure at Kicker Rock which rises 150 metres above the oceans surface to meet tropical schools of darting fish. Enjoy learning about the unique history of Post Office Bay and continue the tradition of leaving a letter of postcard and take one that you are able to deliver on your way back home. 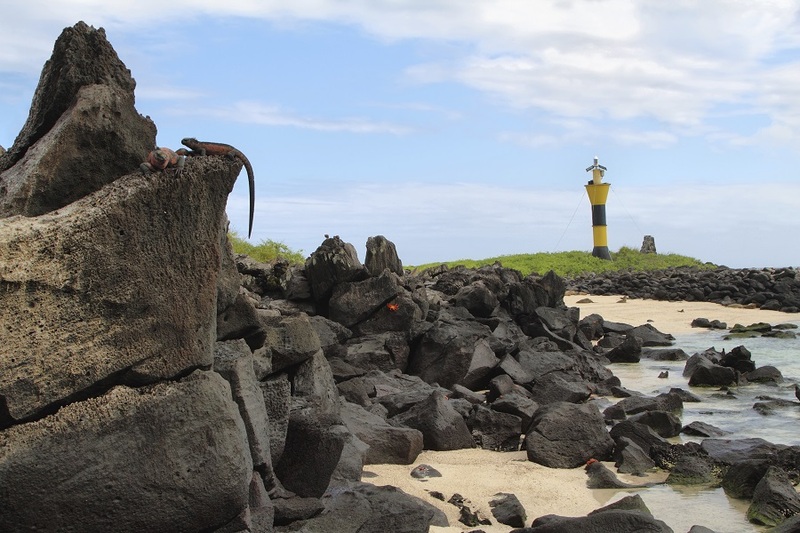 Explore North Seymour and it's fascinating wildlife including sea lions, marine iguanas, blue-footed boobies, pelicans and amazing frigate birds to name a few. 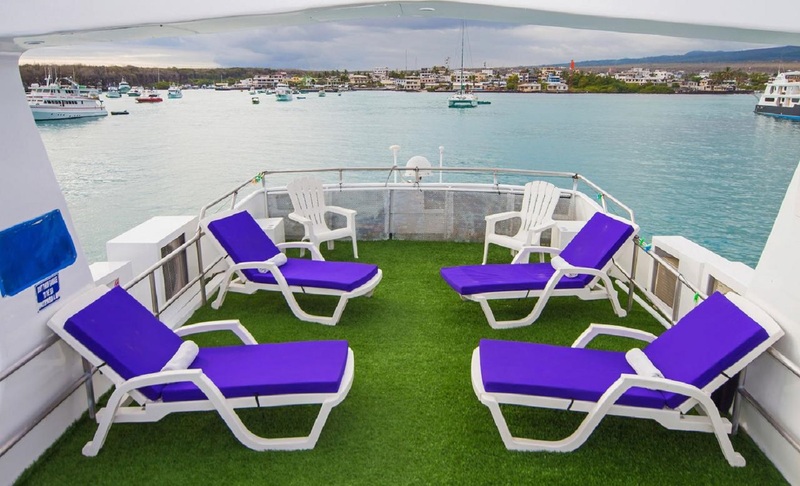 Fly to San Cristobal Island and transfer to Isla Lobos Island in time for lunch by embarking aboard the fine, modestly spacious Estrella Del Mar. 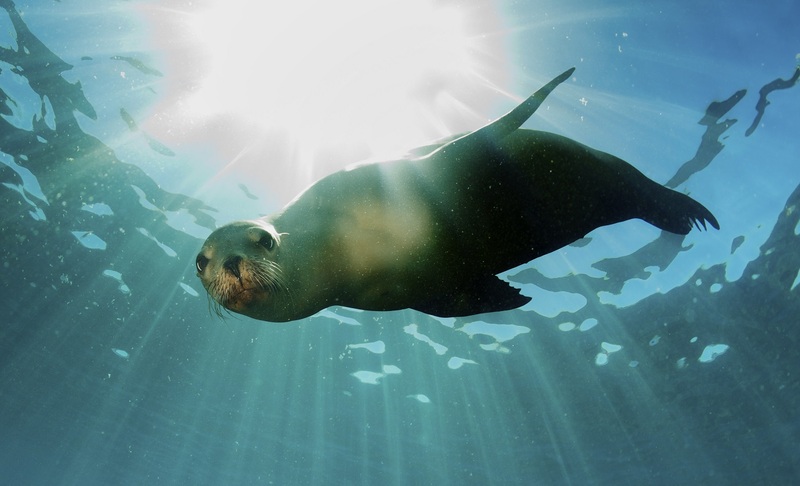 Delve into a peaceful snorkelling session off the beach of Isla Lobos amidst families of sea lions and their curious pups underwater. Whilst on the beach inspect the nesting frigate birds and the instantly recognisable blue-footed boobies resting on shore. 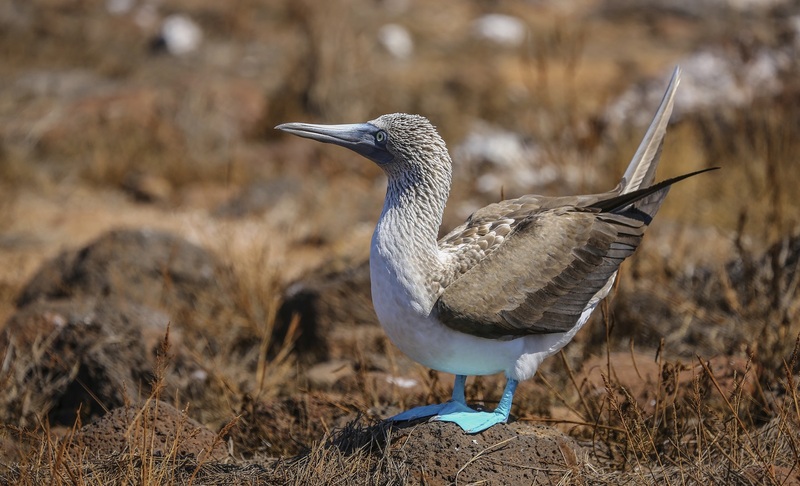 In the morning explore Punta Pitt, a landmass made up of volcanic tuff substrate which is also known as the only site in the Galapagos where its possible to see three species of blue-footed boobies and two species of frigate birds all nesting in the same area. 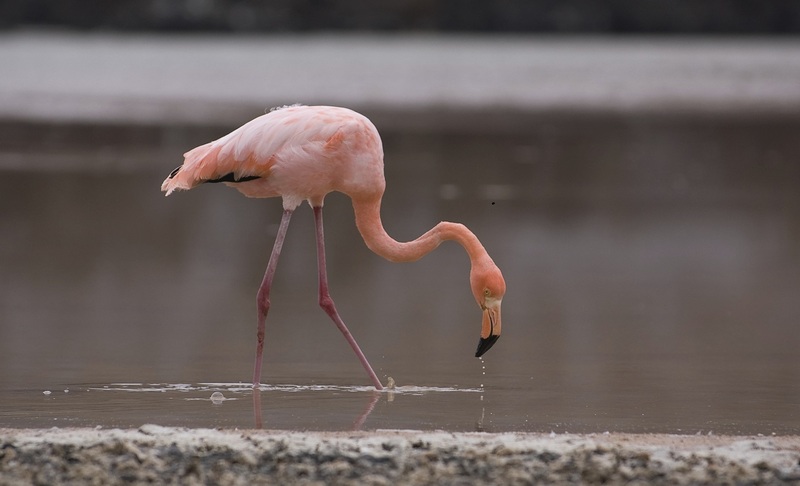 A while later approach Cerro Brujo to explore its coastline with a refreshing dip in the tropical waters and a walk to a nearby freshwater lagoon to admire poised flamingos. The day will end with a snorkelling adventure at Kicker Rock, which rises 150 metres above the oceans surface to observe an array of multicoloured fish and marine animals. 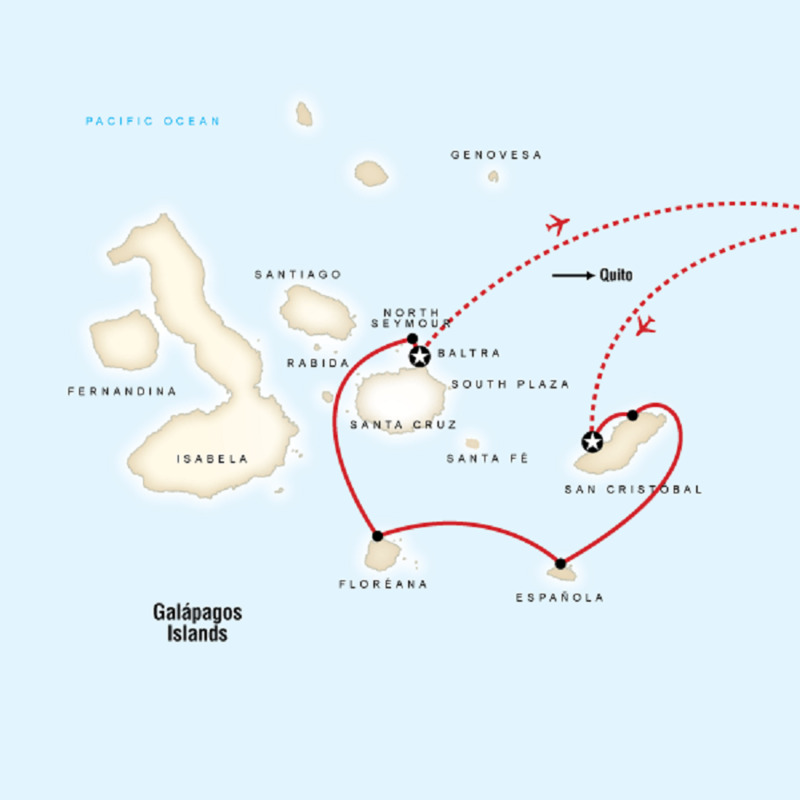 Sailing south, arrive at Espanola Island, the southernmost island in the Galapagos archipelago. 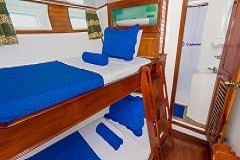 The morning will start in Bahia Gardner where you will walk through the soothing white sandy beach to encounter a large colony of sea lions young and old up close. 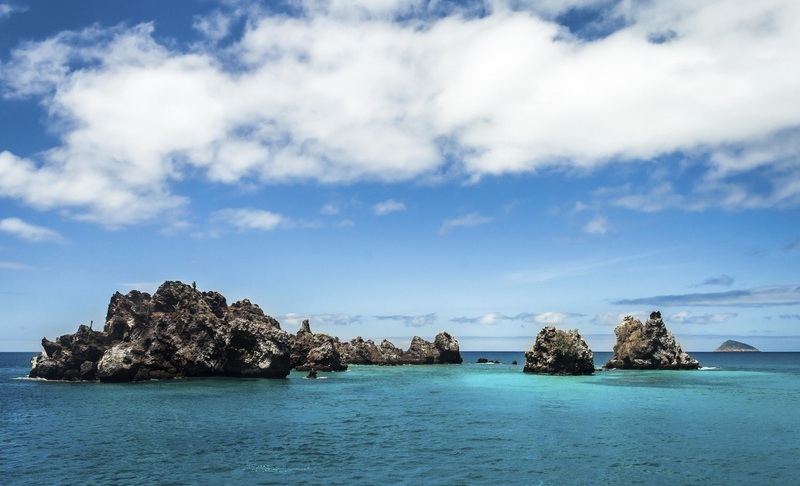 Next head out into the bay for a spectacular snorkelling experience to spot diving sea lions and large schools of tropical fish, including yellow-tailed surgeonfish, king angelfish and the bump-headed parrot fish. 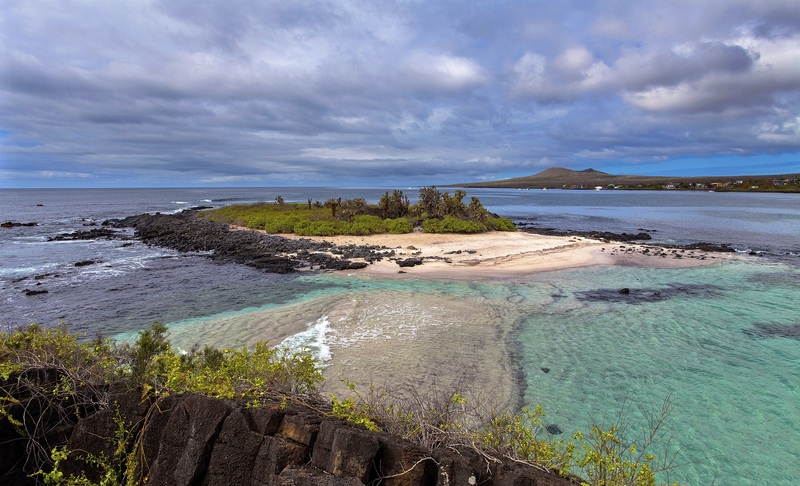 Next head off to Punta Suarez for a charming coastal trek with opportunities to see the Galapagos albatross nesting and further up the path up towards a cliff for great views over the ocean and gliding sea birds. Start the morning at Mirador de la Baronesa on Floreana Island to visit Post office Bay which is historically known as the place where English whaling vessels placed a barrel to be used as a post office. 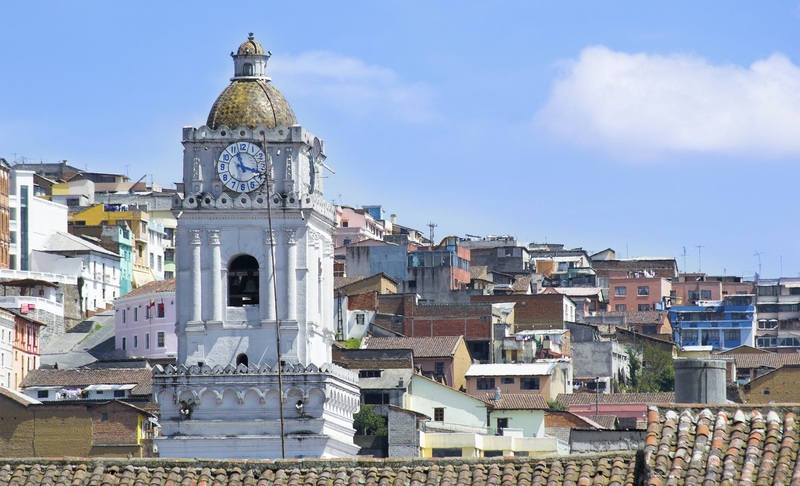 It is maintained today by tourists who send a postcard from the famous destination and help deliver any letters that are close to an address back home. Afterwards dive into an incredible snorkeling experience at Corona del Diablo known as 'Devil's Crown' to gaze upon tropical fish, rays, reef sharks and sea turtles. Finally you will visit Punta Cormorant and discover two contrasting beaches. The first beach has green sand consisting of olivine crystals and the other consists of purely white sand suitably named Flour Beach. 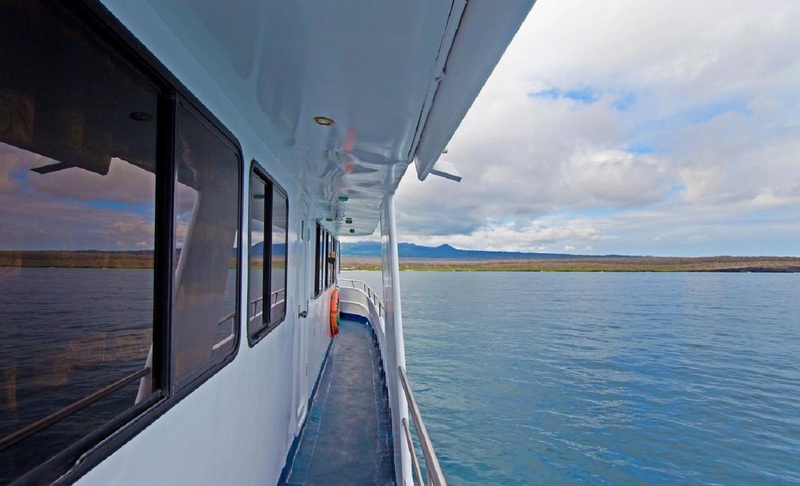 Continue the trip by observing flamingos and other shore birds feeding in a lagoon and locate penguins and marine iguanas at the water's edge. 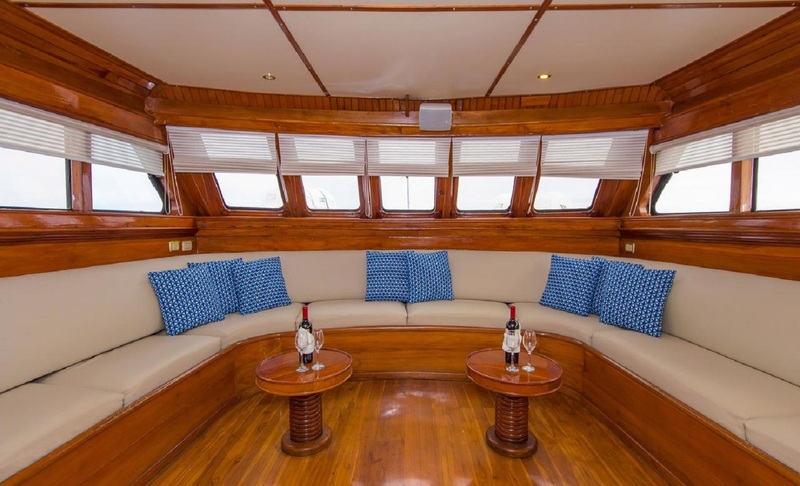 Early breakfast will be served before you alight onto North Seymour for an amazing wildlife experience starting off by following a trail to pass many sea lions and marine iguanas. Further on you will witness blue-footed boobies performing a courtship dance before heading to a rocky shore to see flocks of pelicans dive bombing whilst on a feeding frenzy and the largest nesting site of the frigatebirds who have a huge 2 metre wide wingspan and tremendous acrobatic skills that you have to see to believe. To top off this trail indulge with a snorkelling session amongst the striking sea lions and rays of the deep. 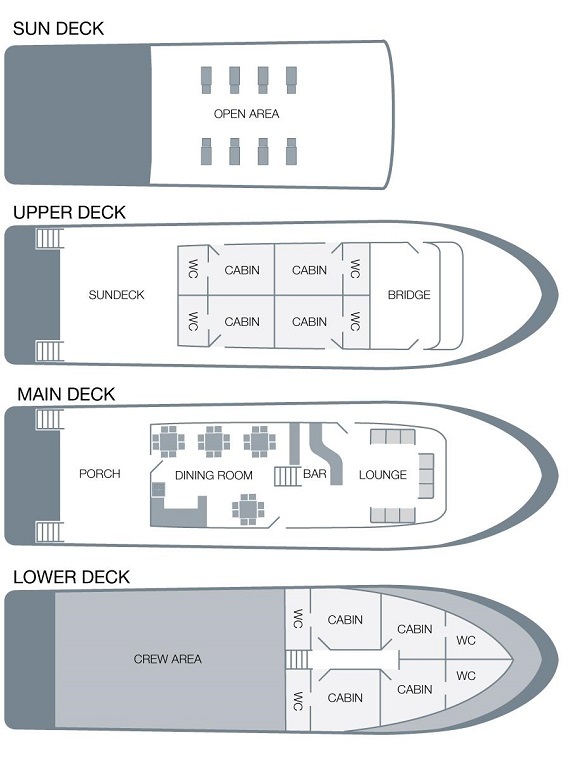 In the afternoon disembark at Baltra to catch a flight to Quito and arrive in time for dinner.